The result is "Look What You Created," a hip-hop album with 12 tracks of music Claye says "will put you in a good mood"
Will Claye has earned three medals as a track and field athlete for Team USA. His most recent success came at the 2016 Summer Olympics in Rio when he brought home a silver medal in the triple jump. Since returning from the Summer Games, Claye has continued to compete at the highest level on the track but wanted to make sure all his time wasn't consumed by training and competition. He has been working on something he has been passionate about since he was a child, music. When he was young, it was singing in the church choir or making a mixtape on a boom box. 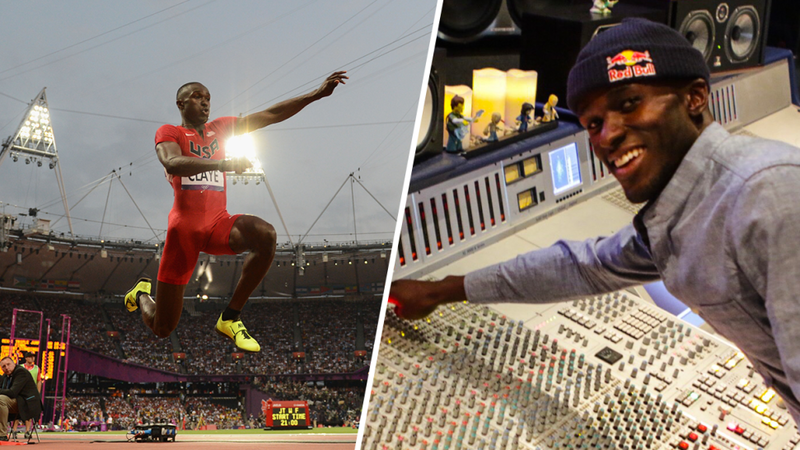 Now, as an Olympic medalist, new opportunities have presented themselves for Claye, including a chance to record his own album. The result is "Look What You Created," a hip-hop album with 12 tracks of music Claye says "will put you in a good mood."